It’s not about the car. It’s about the principle. For many years I have used every platform and every tool at my disposal to fight against the terrorists who leave their shopping carts chaotically strewn about the surface of the Earth. Every time I drive into a supermarket parking lot these days it looks like 9,000 people were raptured into heaven right as they put their last grocery bag in the trunk. Or maybe they’re all bomb technicians and they suddenly had to go diffuse explosives about to blow up a stadium full of children and puppies. Or maybe they’re Batman. Yes, maybe they saw the Bat Signal and had to track down the Penguin and foil another of his dastardly plots. They must be SOMETHING important if they couldn’t carve out the requisite half-minute to shuttle those carts back from whence they came. Or, you know, maybe they’re just lazy. 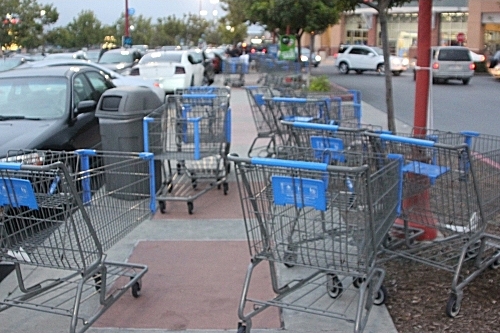 That’s called a “cart corral.” That’s where people put their carts. You see the bars? 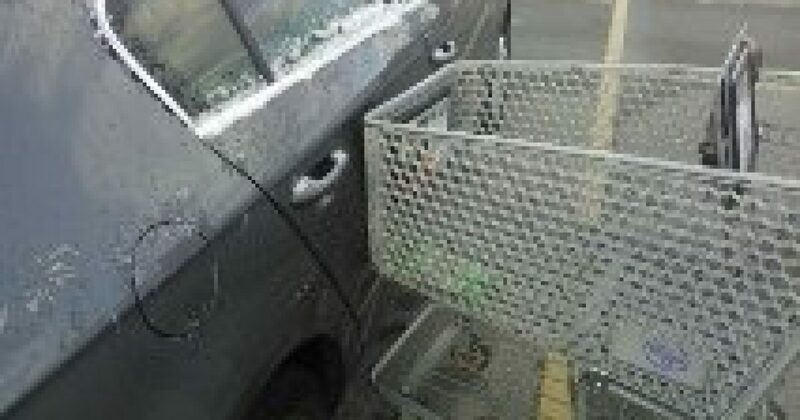 Those bars are designed to contain said carts and stop them from causing damage to somebody else’s property. 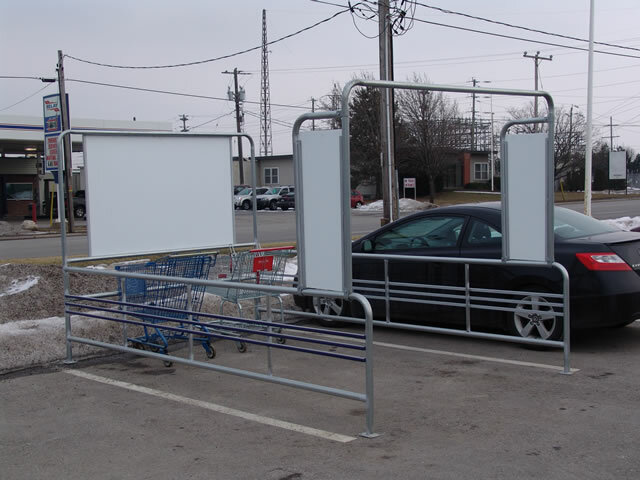 Most parking lots have dozens of these strategically positioned throughout the premises so as to assure that nobody ever has to walk more than 27 feet to return their carts. 27 feet to save your neighbor’s vehicle from sure destruction. Well, maybe not destruction, but real damage that can be measured in hundreds of dollars. Yet this small sacrifice for the sake of your fellow man is too cumbersome for many of us. The average American watches 30 hours of TV a week, and he can’t shave about .00001 percent off of that and allocate it towards returning a shopping cart to a structure specifically constructed to hold shopping carts. It’s the principle. I don’t care that a cart flew into my car; I care that it offended my principles, and the principles upon which this country is built. 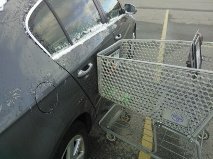 This is more than just shopping carts and scratched panels, people. How can we ever expect to survive an apocalyptic disaster — when civilization is brought to its knees, the power grid fails, our infrastructure crumbles, and governmental institutions are disbanded — if we can’t even figure out how to work harmoniously with one another IN A PARKING LOT?